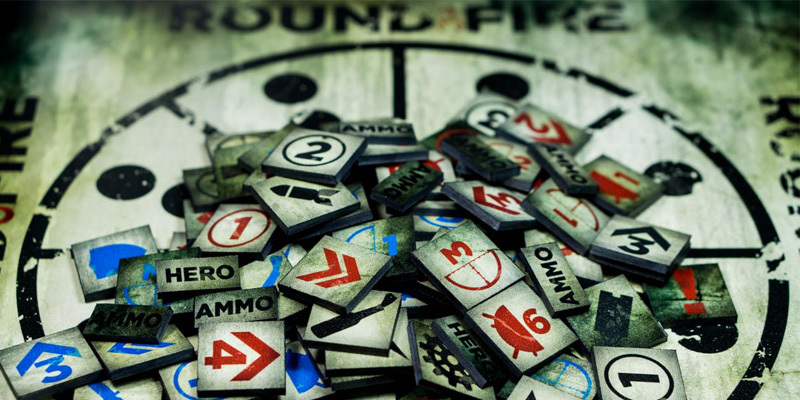 Round of Fire is a skirmish game that simulates the dynamics of battle through a unique activation system. 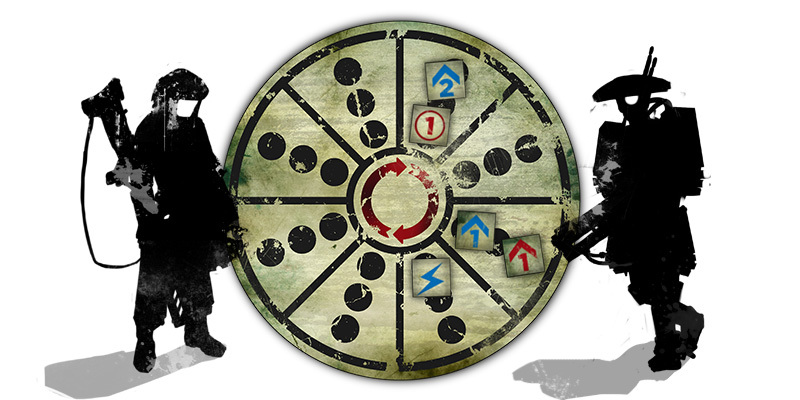 The game rules are tailored around the Wheel, a solution to break from the concept of turns and to consider the battle as a continuous flow of actions. Players must make decisions at every point in the fight to effectively coordinate and maneuver their troops. Buy your copy on Wargame Vault! The Round of Fire system offers a solid base to handle the action in a small fight between a few dozen individuals, and the rules are not bound to a specific setting or scale. The distances are measured in Distance Units, that can vary depending on the miniatures scale used. Because of this, the very same game can be played on a 3′ x 3′ table with 28mm miniatures, on a 2′ x 2′ table with 15mm miniatures or even with larger or smaller scales. The “feel” of a particular setting is instead created with the use of specific figures profiles and weapons, which will encourage players to choose the right tactics for the fight. The Core Rules presents near-future profiles and some sample profiles for fantasy and renaissance soldiers, and more expansions will follow that will cover various other settings. The Wheel is the center of the Round of Fire system. The time required for each action of the Units is tracked there, and the rest of the rules are built around that. Slower troops will activate less often, suppressed figures will delay their actions and coordinated movements become vital, as waiting itself is an important part of the battle. The game is played exclusively using 6-sided dice (D6), and no counters or tokens are used to track statuses on the table. Instead, all is tracked on the Wheel side board, where tokens representing the units are positioned. 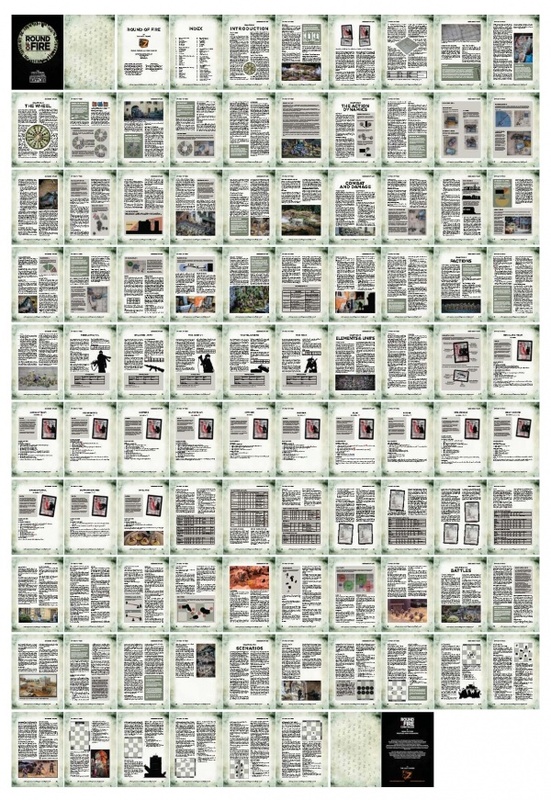 The boards and tokens are accessible as a free download from Wargame Vault. The 94 pages of the Core Rules cover all the mechanics needed for firefights and close combat encounters. 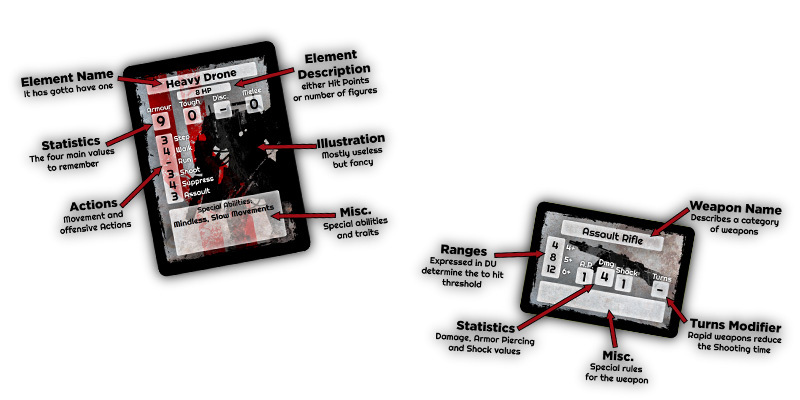 Cards are also provided to keep track of units and weapons statistics during the game. These are not strictly required for the game, but greatly simplify the gameplay by condensing all the required statistics. Find more on the Round of Fire group on Facebook! Editing is critical for ads and the game, can turn off customers that see a lack of caring on designers part. Thank you Randy! You’re totally right, I’ve spent some serious time proofreading the manual itself, and still has a good number of typos. As you well know, it’s extremely hard to spot your own wording mistakes. Is there a review or AAR anywhere? I cannot figure out from descriptions how the game plays or how granular the models are. On the FB group there is a good number of AARs, for review we’ll have to wait a bit more, as the game got released one week ago! Can this be played solo? The rules have been played in solo by several testers, but they do not offer an actual “solo engine” at the moment. Players don’t need to keep any hidden information during the game, so you can easily play both sides! I’d love to think at a future expansion for solo playing, but (for now) I only got two hands!